Texas doesn’t have net metering —but there are ways to sell your solar power to the grid and save money with green electricity. Are investors buying green energy? As green energy occupies a larger and larger share of the mix of energy sources powering Texas homes, investors are taking note. This industry, worth $15 billion nationally, is on the rise because the technology harvesting solar energy is getting better and better. Solar panels are coming down in price, and batteries that hold solar energy are increasing in efficiency. Solar is also attracting more investment, especially because energy investments tend to be more stable than the overall market. Solar energy powers about 30 percent of US electricity consumption. It makes sense, therefore, that investors of all sorts — including banks, investment companies, public retirement systems, and insurance corporations — are funneling money into the solar energy market. The urge toward environmentalism and “going green” doesn’t garner this level of investment without making long-term financial sense. As the installation costs keep falling, Texans continue to place solar panels on their homes and other property. Producing your own power allows you to avoid the rising power infrastructure costs associated with retail electricity. 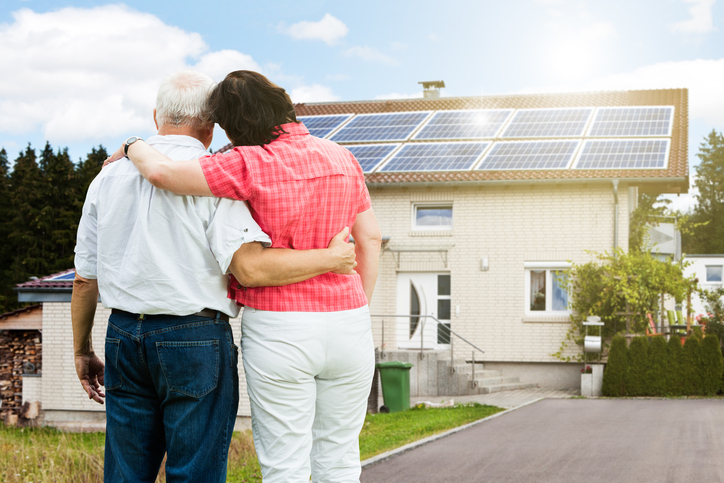 Just because you install solar panels doesn’t mean you must live “off the grid.” Most homeowners install grid-tied systems. These can still generate electricity for the home during the day but can also switch over to getting electricity from the grid at night or if you need to switch on the air conditioning. Because there’s no expensive, deep-cycle batteries, such systems are much more affordable. However, utility companies don’t want customers attaching just any solar panel equipment to the grid. You must contact your local Texas electric utility company (TDU) to put your new system through the interconnection application and inspection process. This must happen even if you won’t inject electricity into the grid. When homeowners produce more solar energy than they consume, it can be cumbersome to sell that energy to someone who’ll use it. Customers who have excess generation (called distributed generation, or DG) can arrange to send their surplus to the power grid by contacting their TDU. Applications and guidelines are available online, such as these from Oncor in the Dallas/Ft. Worth area and CenterPoint in the Houston area. ERCOT’s rules govern DG and how large and small scale sources get into the power grid that covers most of Texas. Customers that produce less than 10 MW but more than 1 MW must register with ERCOT because that’s a substantial amount of power and ERCOT must be have a plan to manange it. However, customers who generate less than 1 MW —which includes most residential customers— are not required to register primarily because their generating capacity isn’t large enough to factor into ERCOT’s planning. You will also need to change your load profile with ERCOT to identify your property as a power producing location. Even though you can be set up to sell your excess power on the grid, retail electricity providers are not required to buy power from their customers. So if you’re going to install enough solar panels to produce extra electricity, you need to find a Texas retail electric provider that actually will pay you for that electricity. Even is you decide not to install solar panels on your home, many Houston electricity providers offer power plans that rely heavily on green energy. The cost for green energy plans are coming closer to traditional fixed rate electricity plans. If you want to power your home with renewable electricity, shop Texas Electricity Ratings to find the green plan right for you. The savings could be huge when you switch electricity plans.